Diane Bryant, a 32-year veteran of Intel (Nasdaq: INTC) and former chief operating officer of Google‘s (Nasdaq: GOOGL) cloud business, has been appointed an independent director at Broadcom‘s (Nasdaq: AVGO) board of directors. Broadcom said Monday Bryant has more than three decades of leadership experience in the semiconductor, enterprise information technology and cloud computing industries. She will also serve on the compensation panel of the company’s board. In her previous capacity, she managed Google Cloud’s supply chain optimization, customer adoption and IT product development efforts. 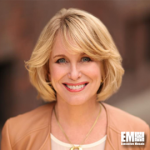 Her Intel career included time as data center group president, corporate vice president and chief information officer. She currently is a member of audit and finance committees of United Technologies Corporation‘s (NYSE: UTX) board.